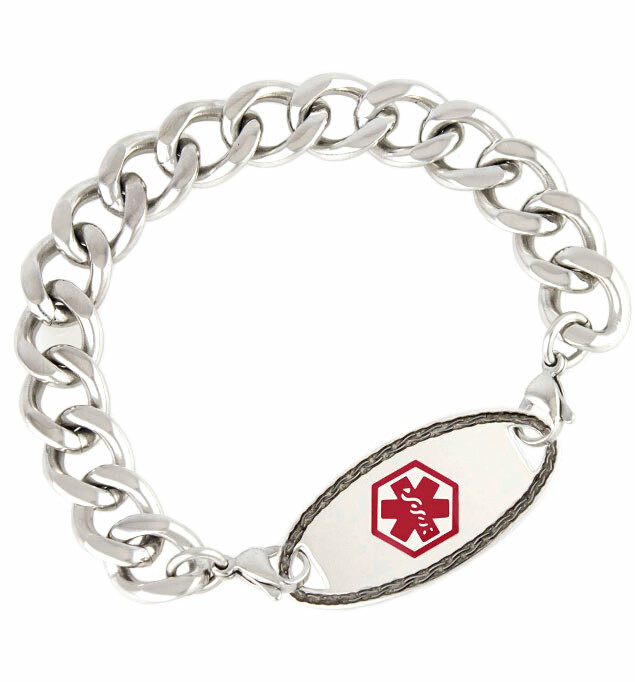 Your Harley Medical ID Bracelet is designed to look sharp, stay tough, and travel well. Safe for water wear, this stainless steel men’s medical alert bracelet is a full half inch across for a substantial look and feel. Both ends of this interchangeable bracelet strand are finished with a lobster clasp, allowing you to pair it with any of our custom-engravable medical ID tags.